Nate Fisher collaborated with me on photographing his Xenomorph Giger tattoo recently at the Field of Artisans‘ Night Market. His tattoo was is by Marcus Blanchard, owner of Eridanos Tattoo in Cambridge, MA. The sun was setting at the time of our shoot, the lighting becoming strange, challenging, but totally appropriate. 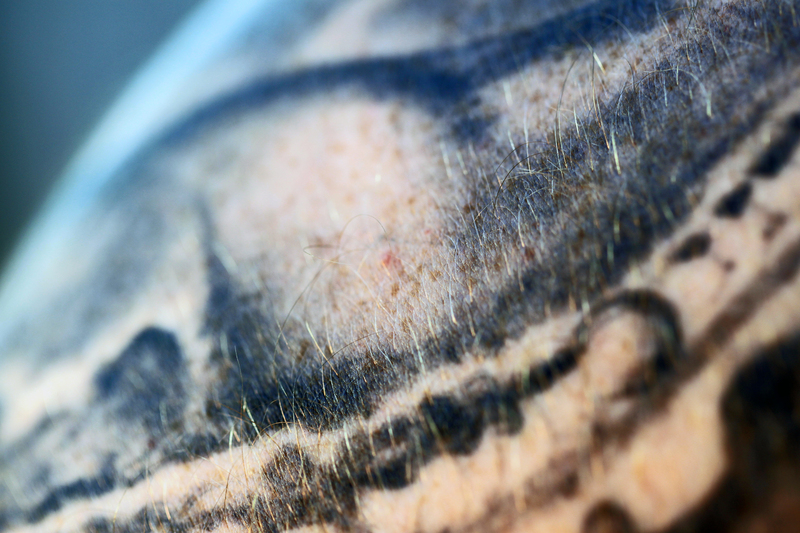 There were alien worlds inside his tattoo, which we discovered with the macro lens. Nate explains the inspiration of his tattoo below. Growing up I was always fascinated by Sci-Fi movies and television, and felt as though the works of Ridley Scott, H.R. Giger, and the other directors, producers, cast, writers, and illustrators who created the movies Alien, Aliens, Alien vs. Predator, Predator, Predators, Alien Resurrection, etc; were extremely talented and original, and I wanted to add their artwork to my body because of how unique and different it is. I selected Marcus Blanchard, owner of Eridanos Tattoo in Cambridge, MA, who had worked on my older brother’s tattoos over the years, because of his style and the similarities it had to the artists who conceived the Alien and subsequent movies, comic books, and art. I love this type of biomechanical artwork, and wanted it forever on my body to show this type of work to myself and others. The movies had such an effect on my psyche that I felt adding tattoos would reflect my passion for this type of art.